Criterion Games have also sent their Christmas wishes with a seasonal podcast which includes footage of the Jansen 88 Special in action! In the last of Suffur's interviews from Game Convention Asia, Martin Frain, Marketing Director for Dice and part of E.A. chats about upcoming titles and long haul flights. The interview was not recorded so the answers are taken from notes and are not direct quotes. We would like to take this opportunity to invite Martin Frain to let us know about any misquotes so we can make any corrections. As promised here is Suffur’s interview with Tom Farrer, the producer of Mirror's Edge, also a Producer at Dice who made Mirror's Edge which is distributed by E.A. Games. The interview was not recorded so the answers are taken from notes and are not direct quotes. We would like to take this opportunity to invite Tom Farrer to let us know about any misquotes so we can make any corrections. Suffur has been to the GCA as a roving reporter for BurnoutAholics.com, this is the first of his series of interviews from the convention. This interview is with John Doyle Producer for NFS: Undercover. Black Box is the company making this game and it is distributed by EA Games. The interview was not recorded so the answers are taken from notes and are not direct quotes. We would like to take this opportunity to invite John Doyle to let us know about any misquotes so we can make any corrections. 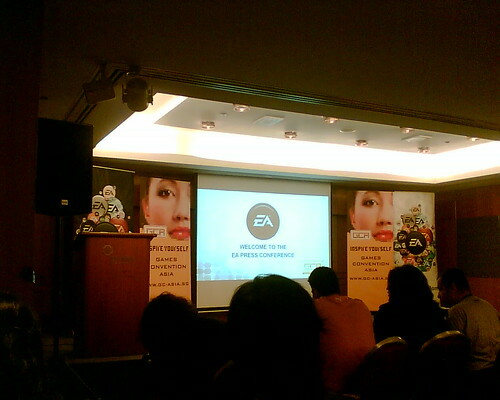 Was a Live Blog but the wireless let me down, so a Nearly live blog from the EA Con. 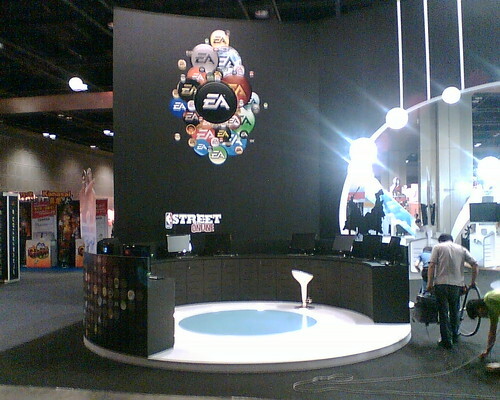 Suffur's first report from Games Convention Asia in Singapore, at the EA press conference. Well waiting for the show to start, lot of press here, and this will be a LIVE Blog, so see if I can Type fast enough for this. Aaron Younger (MC) Online marketing director for this region. Welcome, for the second GCA 2008. John Newman, the EA Asia head honcho. Read more about Was a Live Blog but the wireless let me down, so a Nearly live blog from the EA Con. The Official Forum is now available, so if you have any questions for the developers of Burnout and Black that you really didn't want read out on the Crash FM podcast, post it on the forums instead! What do you prefer, Showtime or Crash Mode? Read more about What do you prefer, Showtime or Crash Mode? EA are aware of this and are dealing with it. Please let us know if you are aware of them being fixed before we are. This means currently there is NO Burnout online at all for the Xbox 360. EA Tech Support have said the problem was caused by the 360 update yesterday. How many correct answers did you have in Quiz 1 - Burnout? Read more about How many correct answers did you have in Quiz 1 - Burnout? Criterion Games have been making some updates to there website, I think they are still working on it, but I like the direction its going in. Read more about Criterion Games New Website!